Shown against a colourful rainbow backdrop, this metal relief wall art of a classic VW campervan is playful and charming. The fading left to right suggest the vehicle is driving into the horizon, its passengers on a carefree Bohemian road trip. 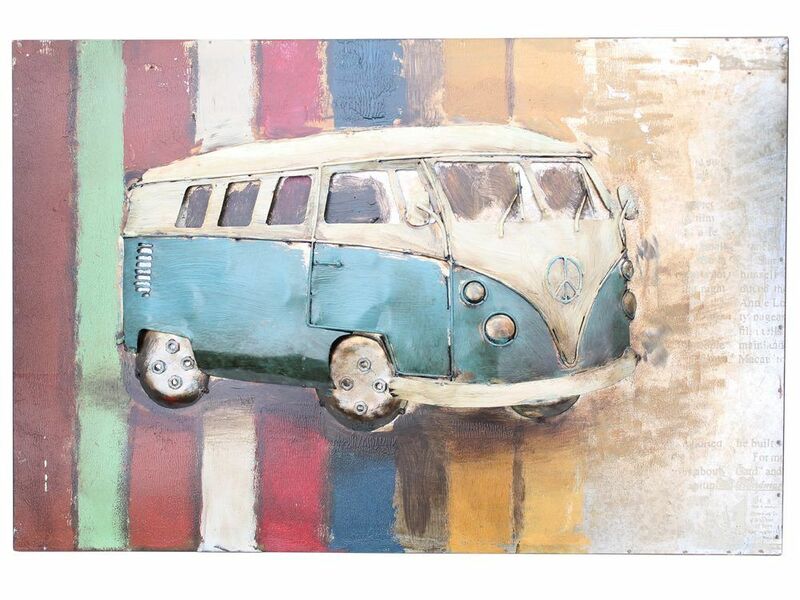 The aged finish of the campervan wall hanging give it a vintage appeal that goes with the retro hippy vibe. Hang this metal wall art anywhere in the home to add colour, fun and an adventurous spirit to rooms.